What is Vatel’s mission.? Preparing the younger generations for a successful career in International Hotel and Tourism Management. Vatel Group defined this goal for itself, over 30 years ago, and since that time, has trained over 27,000 alumni who work in the most beautiful hotels all over the world. 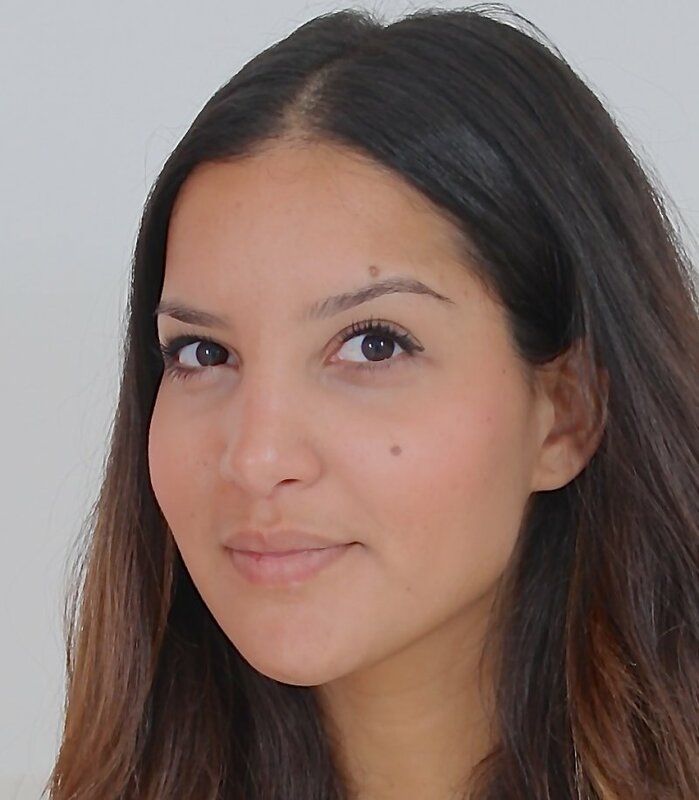 Sophia Annour, a Vatel 2012 alumnus, is one of these Vateliens who succeeded quickly: for the past two years she has been the Revenue Inventory Executive for the Middle East & Africa Revenue Management Remote Solutions Organization in the Marriott International Group, based in Dubai. Here, she’ll spell out her recipe for success, starting with the years she spent at Vatel and the lessons she learned in her many professional experiences. Sophie, what made you choose Vatel after your high school diploma? I chose Vatel because it is an “ultra professionalizing” program with the ideal combination between theoretical courses in hotel management and practical application of this under real life conditions. Vatel Nimes has a four-star application hotel for its students in which we do our practical application work in each department: in the brasserie restaurant, in the gourmet restaurant, in the kitchens, in accommodations and housekeeping, at the front desk and even at the Vatel Gourmet shop downtown. This very down to earth type of training allowed me to have a global comprehension of how a hotel and its restaurants really work. When I graduated, I felt as if I could do several different types of jobs. I’ve got really great memories of the time I spent at school in general, where I met a lot of great people and discovered new cultures, even though I stayed in France, thanks to Vatel Nimes’ international outreach, with a campus hosting about half of international students. The years I spent at Vatel served to confirm what I wanted to do as a high school student. In your opinion, how is Vatel’s teaching concept different from other hotel management schools? Most of the time, when students graduate, they find it hard to land their first jobs, because they don’t have any professional experience. Vateliens don’t have this problem, because the years of experience they’ve accumulated equal the number of years they attended school. In Vatel, we’re working with real hotel guests, as of our first week! Recruitment officers know this, and that’s the reason why many Vateliens are hired by the company that hosts them for their final internship. Many others are hired elsewhere, without even finishing their missions. Personally, I didn’t even finish my final internship: I was hired before! What are the best memories you have of your internships? Discovering new cultures as well as being extremely well managed. I did my final internship in Qatar, in the Renaissance Doha City Center, Courtyard Doha City Center and the Marriott Executive Apartments Doha City Center, three Marriott hotels that were located in the same place (3 packs). I worked for nine months in the Revenue Management department. What really astounded me when I first arrived, was the number of different nationalities working here: over 42! These nine months were very enriching both from a human and from a professional point of view, as I understood that every culture has its own way of working. So I learned how to adapt myself to people who didn’t follow the same management rules as I did, or who didn’t read out situations in the same way that I did. Very early on, I was granted quite a few responsibilities, and I appreciated the trust placed in myself, as soon as I arrived. The Revenue Leader let me participate in Sales Strategy meetings, and later on, let me prepare and analyze detailed reports. Then I was allowed to lead market analysis projects and I assisted my colleagues in their daily work. I had great contacts with my managerial team as well as with the personnel, and became friends with many of them. And do you have fond memories of your first two internships? I sure do! I did my second year internship at the Hotel Le Plaza Brussels 5* as the Assistant General Manager for four months. As he knew that I liked working with figures, he gave me financial reports to compare and make them into presentations to facilitate their comprehension and analysis. I met the Revenue Manager of this hotel and he told me about Marriott International where he had worked for five years and he advised me to join this group, as it is an expert in this field. And I don’t regret having followed his advice and I’m very grateful for it. In my first year, I did a six month internship in Cap d’Antibes in the Beach Hotel Relais & Chateaux 5*, located in my home town, where I worked in each department; captain in the restaurant, hostess, cleaning lady, receptionist, and sales and special events assistant. This operational experience was very enriching, because as I worked in each department, that gave me a global comprehension of how they worked together and completed what I had started to learn in Nimes. I knew exactly how much time was needed in each department as well as what challenges there were to overcome. This developed my team spirit, my communication skills and confirmed how important it was to associate solid hotel management bases with hands-on applications of them. How can you be credible to a team you’re managing if you haven’t done their jobs on a daily basis before?